1. Jaiaree N, Itharat A. Ruangnoo S. Cytotoxic and anti-inflammatory activities of medicinal plants and women’s health remedy found in “Mahachotarat scripture” of Thai traditional medicine. J Med Assoc Thai. 2016; 99(Suppl. ): S211-S221. 2. 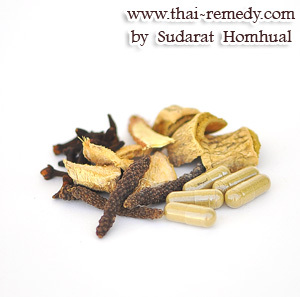 Threrapanithan C, Jaiaree N, Itharat A, Makchuchit S, Thongdeeying P, Panthong S. Anti-inflammatory and antioxidant activities of Thai traditional remedy called " Leard-ngam" and its plant ingredients. Thammasat Medical Journal. 2015; 15(3): 376-383. Copyright © 2014 thai-remedy.com All rights reserved.